The Craft Beer revolution originated in the US but has now firmly established itself in the UK and has resulted in an explosion of craft beer producers. Producers are now developing new methods of production which has, in turn, led to a far more diverse and accessible range of beer in taste, colour, abv and overall style than the traditional real ale market has offered in the past. This sector now includes a lot of hop forward styled beer, with big aromas & hop heavy flavours, all delivered through remote cooling systems to chill the beer. 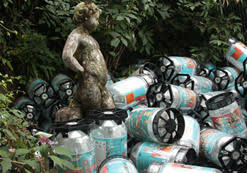 This has not only affected the traditional Real Ale market but has led to an increase in interesting pilsner styles and a wider variety of experimental dark beers that all come under the craft beer banner. At The Really Good Bar Company we fully support this new development in the beer industry and have regularly delivered craft beer options at music festivals. We manage the install for these bars in-house allowing us to run multiple craft beer lines on specialised bars and delivering extra variety to event customers. 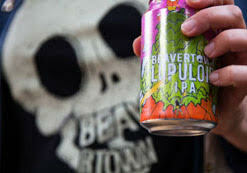 In 2016 we launched the Lupuloid IPA with Beavertown, a classic and beautifully made craft beer. We expect this summer to be another big year for craft beer in the festival market, as it gets out of the city bars and heads for the fields.